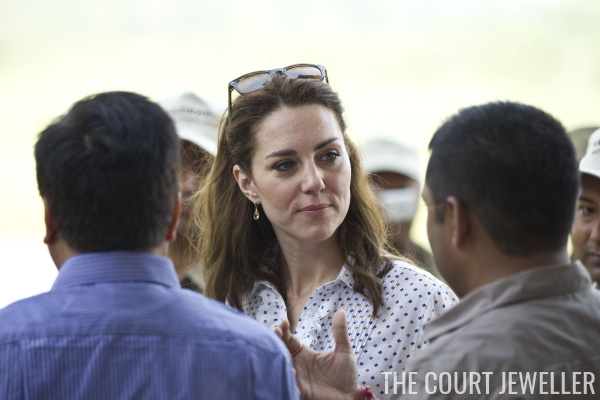 On William and Kate's first morning in Assam, they climbed into an open jeep to take a tour of Kaziranga National Park. 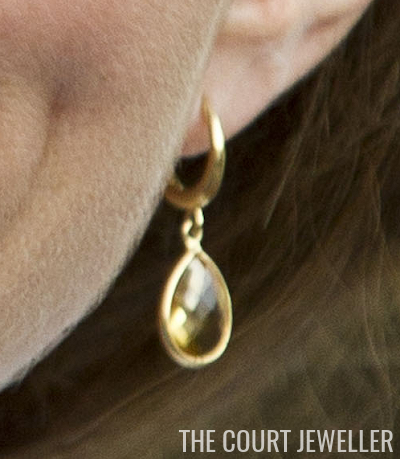 Kate wore a very familiar pair of earrings: her citrine drops by Kiki McDonough. Here's a close-up from the event. She's been wearing these for years, including her very first official event after the announcement of their engagement. 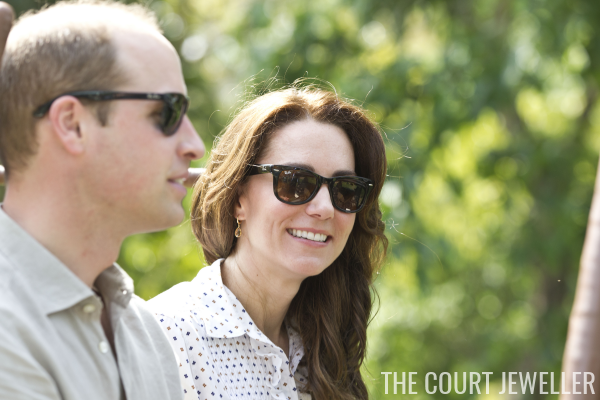 They're lovely but simple, good for a casual, outdoor event like a park tour.